Osteoarthritis is a degenerative condition that causes pain and can limit your mobility. Knee osteoarthritis is the most common form of osteoarthritis. It occurs when the cartilage within the joint is damaged and no longer provides the cushion and lubrication necessary for normal movement. Learn more in our What you need to know infographic. 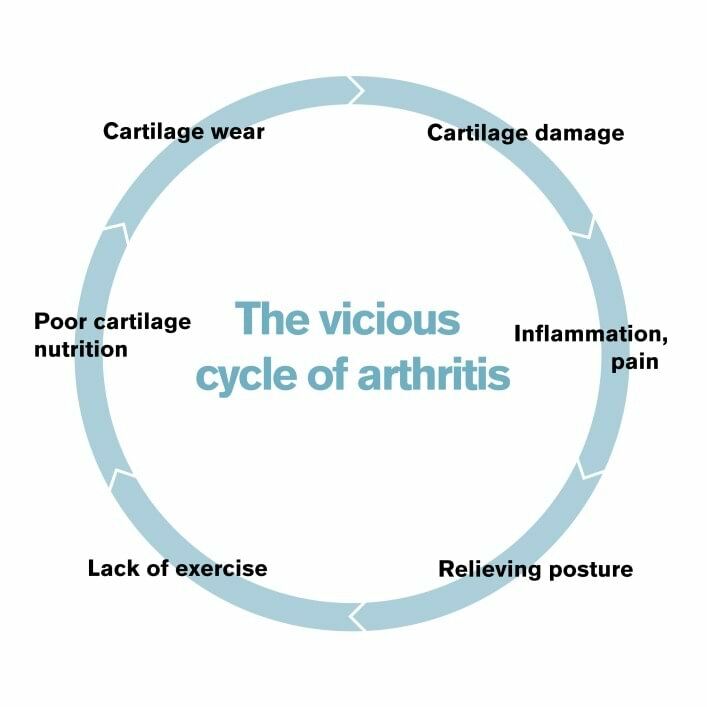 At the first indication of pain, osteoarthritis creates a vicious cycle: individuals typically adjust their posture and limit movement at the knee to compensate for the pain. This change in posture and limited movement are unnatural and cause additional problems at the hips and lower back. 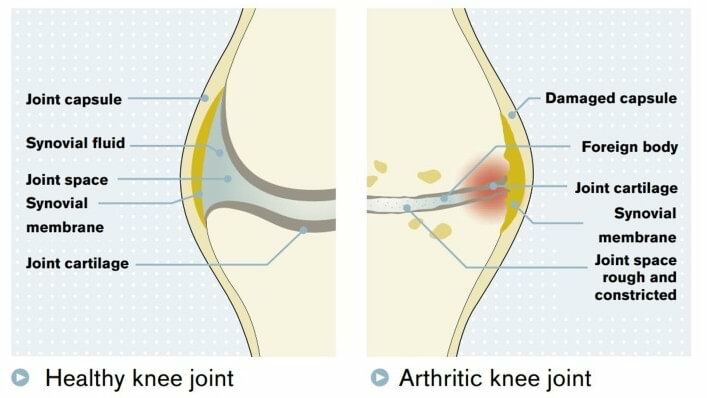 The reduced movement at the knee also results in decreased nutrient supply to the knee cartilage which causes the cartilage to further breakdown. As the cartilage deteriorates, patients typically experience more pain, further adjust their posture and limit knee movement, which further reduces the nutrients supplied to the cartilage resulting in further damage. There is no “one size fits all” solution for osteoarthritis. Patient experience has proven many options work. Ultimately, your doctor will help you determine what is best for you. Find out what causes knee osteoarthritis.